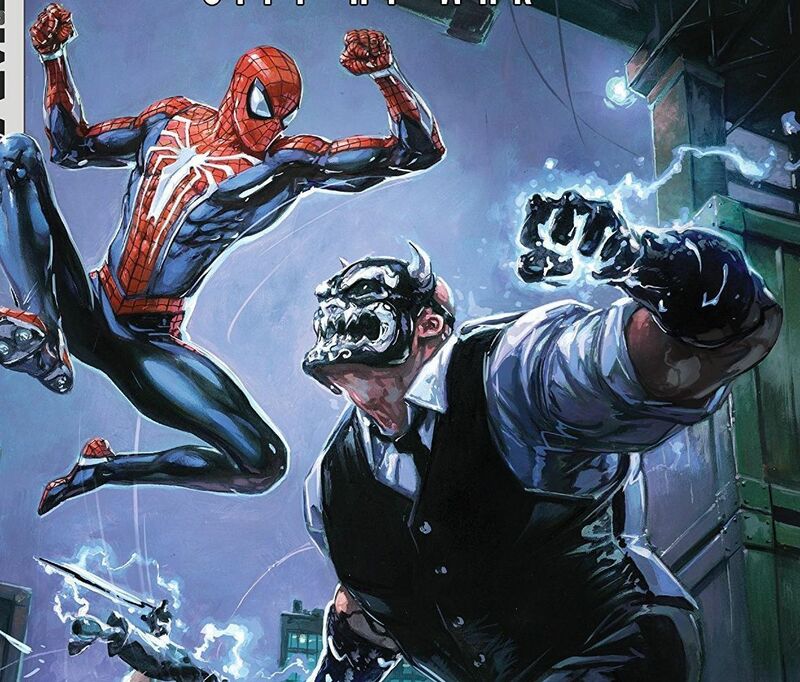 Marvel's Spider-Man: City At War #2 Review – AiPT! The Gamerverse continues with a focus on Miles Morales. It’s almost unfathomable, but the PS4 Spider-Man game might have created more fans and furor over the character than there was before. What better way to experience a character than to be him? It’s why a comic based on the videogame series makes so much sense and, luckily, the first issue was good! The second issue is out today and while it’s still telling the story we all played in the videogame it focuses way more on Miles. Score! If you never played the videogame this is going to be a must-read. The videogame had a great story to begin with and this is turning that into a faithful comic book story. If you have played the videogame know this fleshes out that story and offers additional scenes not seen in the game. This issue is a strong one because it fleshes out Miles so well and offers a few new things while it continues to tell the main story from the game. Miles is written very well and there’s even a nod to Spider-Verse early on. In a quick few brushes, Dennis Hallum introduces Miles, his family, and his very teenage self. The life of a teenager is rendered very well and it’s clever of Hallum to link Miles to Spider-Man with a quick mention that Spidey was his age when he became Spider-Man. Miles’ obsession of sorts with Spidey is also kind of enduring and helps set up the inspirational turn for him we all know is coming. The biggest new element is a villain we didn’t know Spider-Man beat after Kingpin went to jail in the form of Swarm. It’s the type of villain that would have been cool to play, but it makes sense since he’s kind of hard to visualize. Other villainous acts pop up and they’re all from the games. That said, Peter and Yuri have a great scene together with well-written dialogue. Artist Michele Bandini continues to do great work. Along with David Curiel and letterer Travis Lanham, the art does well with the character acting and showing the action we’ve played before in a new light. The use of light is a big highlight. Bullets careening off windshields, the light of a truck coming at Spidey fast and splashy backdrops really catch your eye. While Spider-Man is in this issue he’s not doing a lot. This is partly due to the focus switching to Miles giving him more page time. It makes the overall issue lack action and feels sluggish. This is, of course, made more so if you know some of these story beats. This is a good second issue and a great one if you’re a Miles Morales fan. It’s also starting to become clear the world of the videogame is fleshing out. Spider-Man: City at War feels necessary because of its sharp dialogue and great character writing. This is a good second issue and a great one if you're a Miles Morales fan. It's also starting to become clear the world of the videogame is fleshing out. Spider-Man: City at War feels necessary because of its sharp dialogue and great character writing.